I work at Aesthetic Integration in Austin, Texas, on Imandra, where I help write a user friendly, powerful proof system based on computational logic. I moved to Austin, Texas in January 2018. 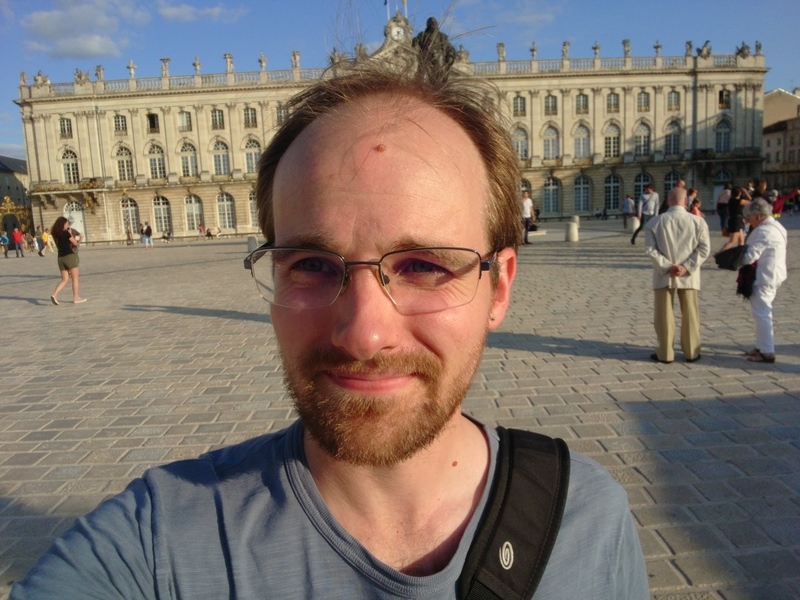 Previously (2015-10 to 2017-10) I was at Inria Nancy doing a postdoc with Jasmin Blanchette on a counter-example finder for higher order logic, nunchaku. I completed my PhD after 3 years at Deducteam (INRIA), from October 2012 to September 2015, under the supervision of Gilles Dowek and Guillaume Burel. My work takes place in the field of first-order automated deduction. My thesis is titled "Extending Superposition with Integer Arithmetic, Structural Induction, and Beyond" and can be found below. Before the PhD, I was a student in École polytechnique, in France, where I obtained an engineering diploma in 2012, then at EPFL, in Switzerland, where I got a master degree in Computer Science. I am interested in Artificial Intelligence, formal logic, programming languages; swing dancing with the Austin Swing Syndicate (I'm applying for the board! ); classical music and opéra, science-fiction and more generally by reading. I used to be a member of the Binet Réseau, an association in charge of the students' network in École polytechnique. Research engineer at Veridis with Jasmin Blanchette, on model finding for higher-order logic. PhD thesis at Deducteam with Gilles Dowek and Guillaume Burel, on the topic of automated theorem proving. A 3 months and a half internship at the ProVal lab in INRIA. The topic was about integrating TPTP provers in the Why software. 6 months internship in the Computer Science Lab in SRI International. I'm interested in the technology of SAT solvers. More about it on SAT. I'm also interested in first-order automated theorem provers (in particular the technology of superposition, e.g. the provers E and SPASS). I develop my own superposition prover, zipperposition, as a research test bed. I converted the so called "Pelletier problems" (some small logical problems designed to test automated provers) in the TPTP format. The result is now in Zipperposition. The problem 28 is mistranslated (it seems to be satisfiable), although I could not find why. The last problems are not all translated. My dblp page makes a better job than me at tracking my academic papers. Some of them can also be found on HAL. PhD thesis (draft) "Extending Superposition with Integer Arithmetic, Structural Induction, and Beyond", and the sources, under Creative Commons. I am using several GNU/Linux distributions, currently debian and archlinux. See this page. Most of the programs I write and maintain nowadays are on my github profile; most are in OCaml. You can also take a look at the documentation of some of the libraries below (might be outdated). nunchaku, a model finder for higher-order logic, relying on CVC4, Kodkod, Paradox, and smbc (below). smbc, a model finder for computational logic with datatypes and recursive functions. datalog, a bottom-up datalog engine written in OCaml. logtk (merged into Zipperposition), a logic toolkit in OCaml, used in Zipperposition, with many data structures and algorithms. abrasatcuda, a SAT-solver written in C and initially intended to run on CUDA. Written together with Vincent Barrielle as a project for a lecture. db2xml.py, a small python script to extract an Android SMS database (say, after a backup) to a XML file that SMS backup-restore can read back. NO GUARANTEE of it working at all, use at your own risk! deref, an ocaml script to replace symlinks by the content of the file they point to. I am on irc (freenode, rezosup) with companion_cube as nickname.